Apple introduced its first iPad in April of 2010. Just like the iPhone before it, the Apple iPad was an instant sensation and Apple sold three million iPads in less than three months. In the consumer electronic field being first out of the gate with a new product doesn’t guarantee that you will be able to hold your lead when your competitors introduce competing products. 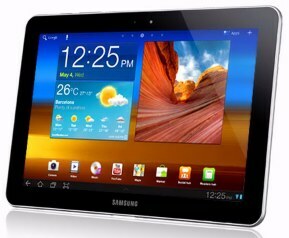 The question becomes can Apple keep its lead as other companies introduce tablet products? 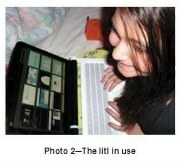 The smartphone and tablet computers are quickly becoming the convergence device of choice. On their screens users now read what was once only accessed on paper, listen to what was once only accessed on radio, and watch what was once only accessed on TV or seen in the movies. John Chuang, the CEO of litl has embraced the paradigm shift to cloud-based computing. His design team has created the first cloudbased computer, named “litl webbook.” They coined the name “webbook” to describe a new computer classification: a machine that only provides simple access to the Internet, unfettered with the hardware and software found on a standard computer. Google’s new Chrome OS is about to show up in a slew of new netbook computers that will all have SSDs. Is the SSD about to become the mass storage device of choice? How is an SSD superior to an HDD? How difficult is it to replace an HDD with an SSD in a Netbook Computer? 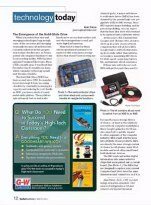 Will the Solid-State Drive (SSD) Soon Replace the HDD? Over time, television went from black-and-white to color, from fuzzy images to super sharp highdefinition images, and from small screens in very large, heavy cabinets to relatively light, giant screens that you can hang on your wall. 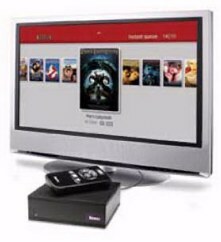 Many new TV models now come with built-in modules that allow viewers to easily stream Internet content from their home broadband wired or wireless network. A TV Internet link from Roku, Sezmi, Boxee, Neuros, Vudu, your game machine, or other portal device is not the same as purchasing the next generation Digital Video Recorder (Tivo). Casio recently released a new series of cameras that can create dynamic digital photos. The EX-S12 has this best shot function that lets you lasso people, pets, or movable objects out of one scene and then insert them into a different photo. 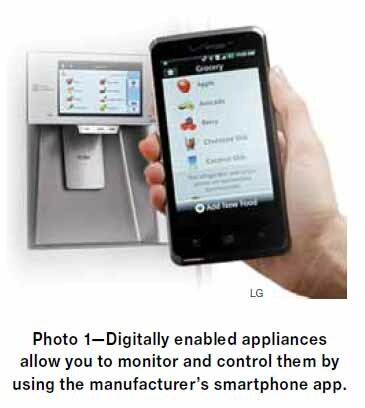 This is only one of the amazing new features you will find on this camera. It gives you the power to create amazing photos that can defy gravity, logic, or even the space-time continuum. It has a special wireless pen that allows you to treat your notebook screen as if it was a tablet PC. It is the size of a TV remote control, can project a 50 inch image, and it is designed to be hooked up to any device that is capable of transmitting a video signal. Such as a digital cameras, video phones, video MP3 players, DVD players, Personal Video Players, video game machines, and of course computers. Your Slacker portable G2 player only needs a Wi-Fi connection to download the music to your player. You can refresh the unit at any Wi-Fi hot spot, which gives the unit an infinite capacity. 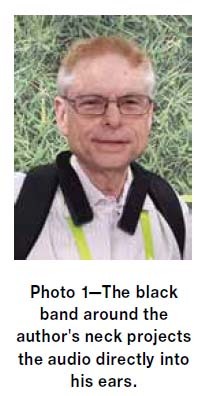 Thanks to the camera-empowered cell phone and the pocket-sized digital camera people are constantly shooting photos. 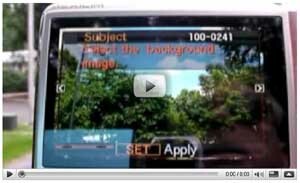 Now, if your goal is to view and share all of these photos without a computer, you should explore the advantages and disadvantages of a digital picture frame. Communication technologies continue to evolve, and this evolution—when it turns revolutionary—kills older technologies that once performed the same task. This column looks at some of the devices that can transfer analog recordings into digital formats that can be archived, listened to, or viewed using the latest technology. 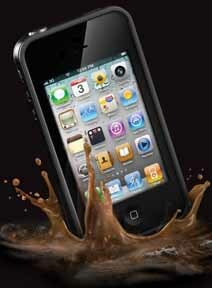 You probably already know that your average electronic device can basically drown in a miniscule amount of water. 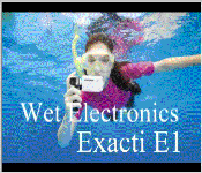 The enjoyment of all water sports or near water activities would be enhanced if your electronic devices could be made water safe. The next breakthrough in disk storage could be holographic. 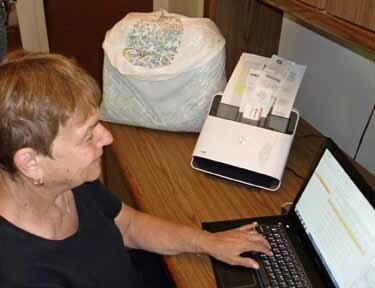 Storing digital documents all at once rather than bit by bit. The pixels of the camera recorded multiple images with multiple points of focus. The image's text file contains all of this information for these separate pictures and software sorts it out giving the photographer the ability to create pictures with different points of focus. These new materials might one day allow you to transform the windshield of your car into a GPS activated map at the touch of a button. 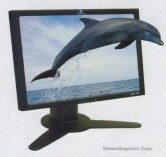 Or turn a picture window into a high definition video screen. 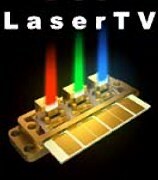 Novalux’s optoelectronic chipset uses a gallium arsenide laser combined with a lithium niobate crystal (LiNbO3) optic modulator to produce the critical wavelengths to output RGB (red, green, and blue) beams of light. Once you have red, green, and blue light you can create all the colors of the rainbow. 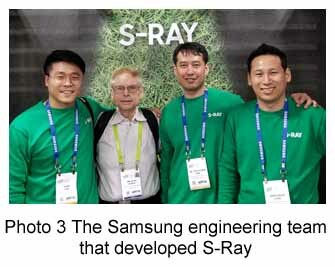 OLED screens have an organic semiconductor layer sandwiched between a transparent positive electrode layer and a nontransparent negative electrode layer. The flow of electrons between the two outer layers causes the individual organic cells in the organic layer to glow. 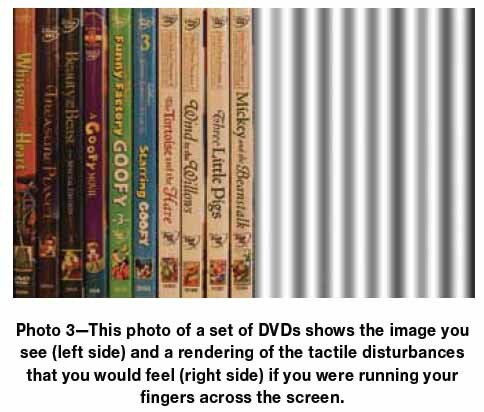 "Stereographic Video - Without the Glasses"
Could a new 3D HDTV system soon eclipse the popularity of two dimensional HDTV systems? 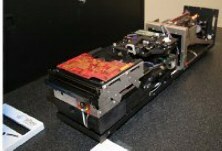 "The Foveon X3 Chip =s Digital Film"
Data mining involves the use of computers, modeling software, and statistical analysis to ferret out data relationships that would be of value to a particular segment of our society. 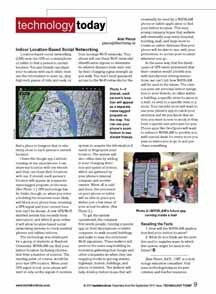 A new GPS/Wi-Fi enabled system has recently been announced, and when it goes online it will allow location-based social networking systems to track enabled phones and tablets indoors. The system is called WIFISLAM. WiFiSLAM can find your indoor location by fusing information from a number of sources. The starting point, of course, would be your last GPS location. When your GPS signal is lost, your phone will start to rely on the signals it receives from in-range Wi-Fi networks. PlayLater is a PC DVR that is married to an Internet browser. It lets you record shows from all the channels shown in the photo. You need an Internet connection to record your shows, but you don’t need a connection to watch them. 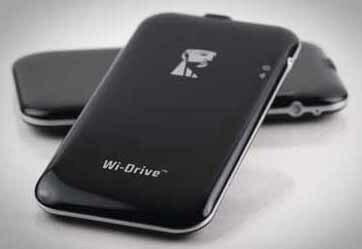 The Wi-Drive establishes a private Wi-Fi network. It is about the same size as an iPod Touch and it lets you supersize the storage capacity of your handheld devices. 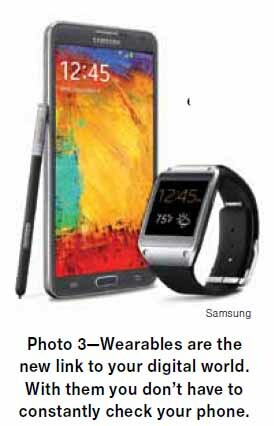 It can broadcast different content to up to three different-brand handheld units at the same time. 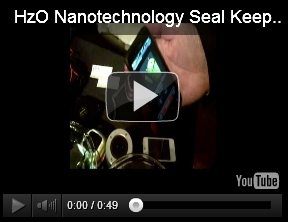 The HzO process keeps electronics dry underwater without a waterproof case. This protective coating will be applied by the manufacturer. 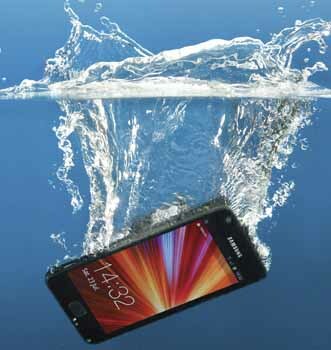 A phone with HzO WaterBlock on the inside and a LifeProof case on the outside would certainly be an interesting product to own. This column explores waterproofing from the outside in and the inside out. 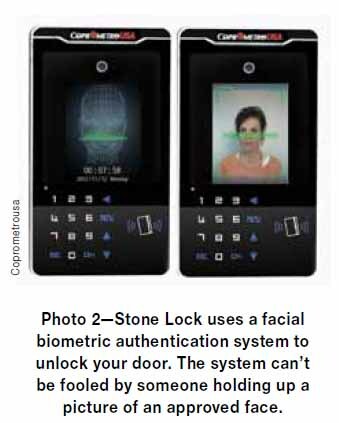 What is new and emerging in Keyless Entry just might amaze you!!! 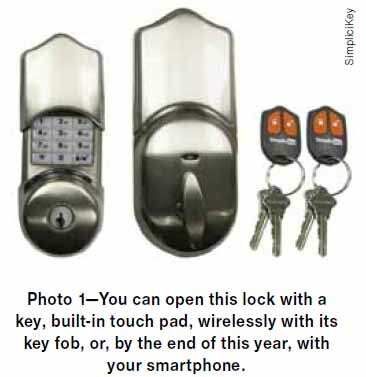 At CES I learned that residential, commercial, and automobile locks will soon allow you to use your smartphone to do everything from opening doors to adjusting internal environments to match your individual desires. To get the big picture just click on the link below. 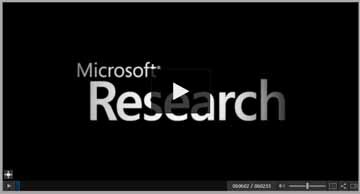 Microsoft is the current leader in the development of this technology. 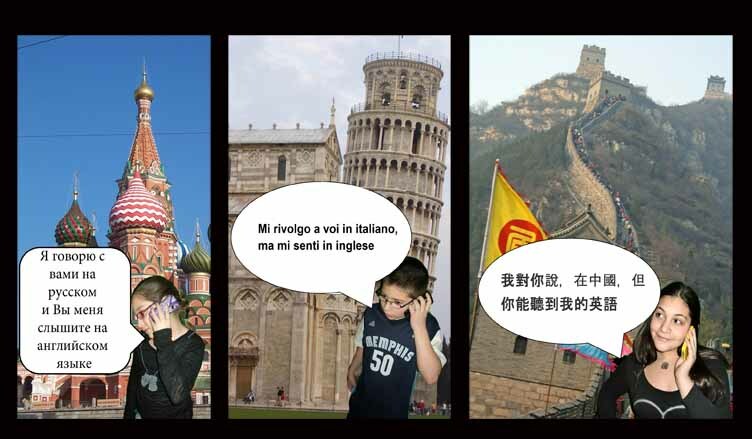 They can now almost instantly convert your telephone call statements into another language and have the person you are talking to hear your thoughts in their language in a voice that sounds just like you! 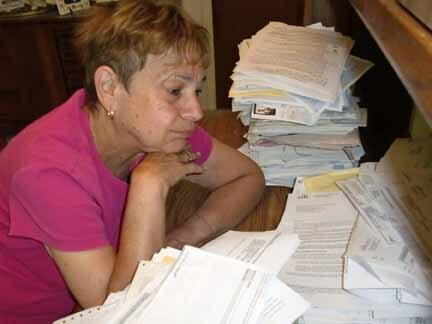 The vision of a “paperless office” dates back to 1975 and the “paperless society” has been around since 1978.The same technology breakthroughs that ushered in the predictions that paper would become irrelevant to communication are now about to guarantee that paper will continue to play a significant role in electronic communication. In the future our society will depend on new paper products. 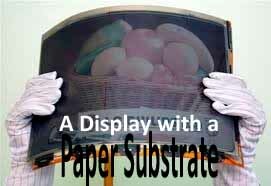 The next generation of Electronic Circuits will be built on a paper substrate. 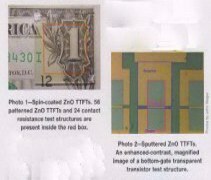 or a shift to new Electronic circuits built on paper. This new technology was developed by Disney engineers and it actually sounds impossible. 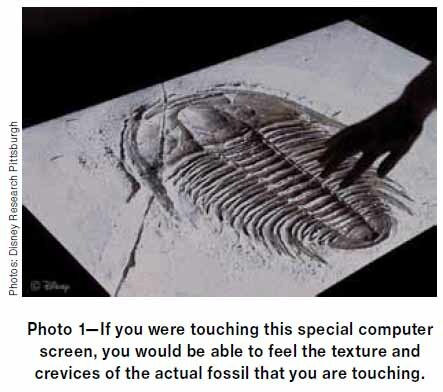 They developed a way for you to feel the shape of 3D objects with your fingers as you touch a 2D image of the object on a new computer touch screen. To create this magical display the Disney researchers created an electrical vibration display that creates a variety of surface tensions that you feel as the physical shape of the object that you see on the screen. The birth of the personal digitally connected world is at hand. 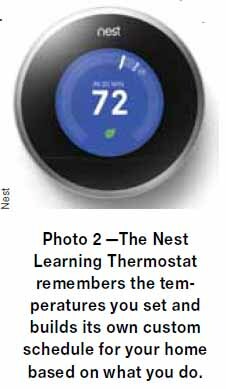 • Thermostats that automatically build a temperature schedule for your home. They know when you are home and reduce heating and cooling when you are away. • Your doors, lights, appliances, security system, etc all ready to take your commands through Near Field Communications (NFC). 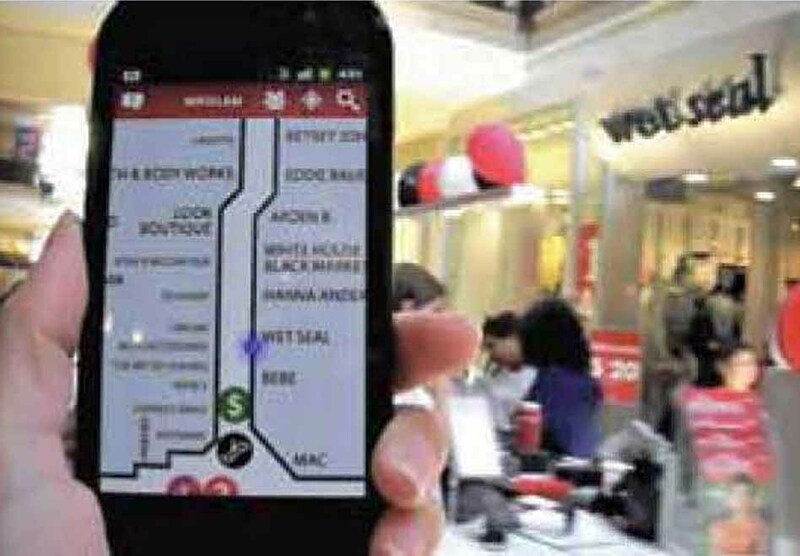 When you are not home your smartphone can still automatically give commands or you can take command from anywhere in the world. • Digitally empowered appliances that email to you shopping lists and let you call in what you want them to do..
• Wearable tech that helps you stay fit, take videos and photos, and will show you messages while your smartphone is safely tucked away from prying eyes. • Cars that will watch the road for you or never require you to stop at a gas station again. 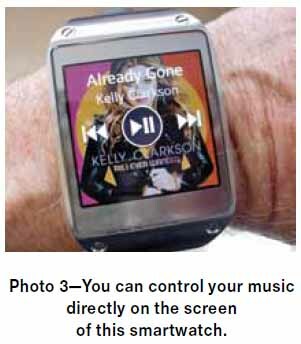 Can you shoot photos and video on your watch? Can the watch on your wrist serve as a hands free telephone? If it can’t perform the above tasks perhaps it can at least control what music is playing on your smartphone or let you read and answer text messages. 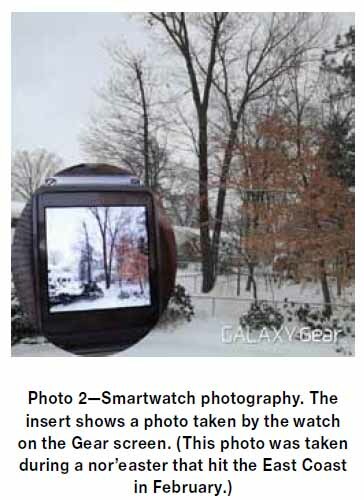 At CES 2014 Samsung introduced their newest product the Galaxy Gear Smartwatch. The Galaxy Gear is a communication Swiss Army Knife that looks and acts like a working prop from a James Bond movie. If you want to know what else it can do read the full column. 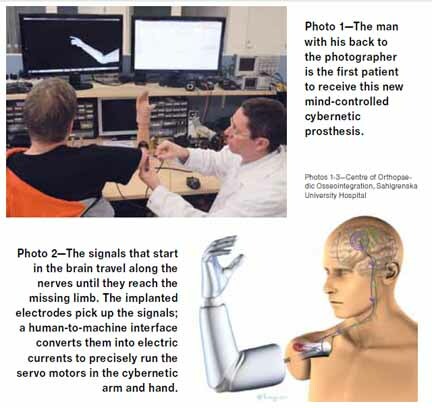 The first cybernetic people will only have a few mind controlled parts. These parts will replace amputated arms, hands, or legs. People with these kinds of replacements are now common in Sci-Fi movies. This column explores how close we are to almost human androids and mind controlled cybernetic replacement parts for people. 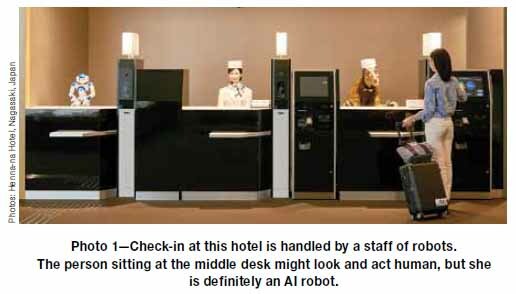 At the Henn-na Hotel, if you want to be checked in by a robot you go to line 1, by an almost human you go to line 2, or by an alligator you go to line 3. (See Photo 1.) This is the only hotel in the world fully staffed by robots and it is letting guests get a real peek at what an almost-human-intelligence robotic world might look like some day. This hotel is located just outside the Huis Ten Bosch Amusement Park in Nagasaki, Japan. All the robotic systems of the hotel were created in Japan by the University of Tokyo, Institute of Industrial Science, and the Kajima Corporation. 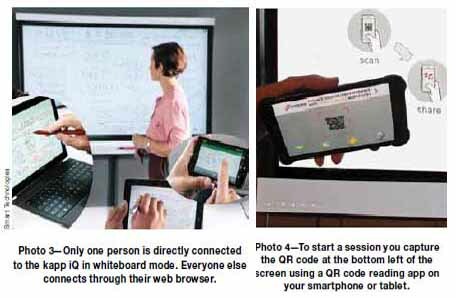 The SMART kapp iQ is actually two different smartboards that share a ultra high definition LED display. 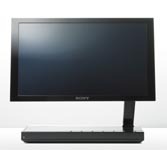 In the Display mode (Photo 1), it harnesses the power of your computer and your Wi-Fi network for presentations. 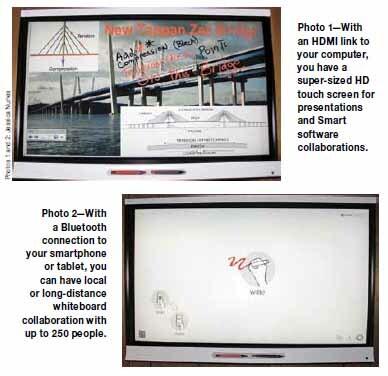 In the IQ mode (Photo 2), the display harnesses the power of your smartphone or tablet through a Bluetooth connection to let you collaborate with up to 250 people locally or internationally. In this mode, you have real-time whiteboard multi-way collaboration not possible in the other mode. With the touch of your finger, you can switch from one mode to the other to harness the capabilities of both modes in your classroom. New cameras with lots of separate lenses are now being introduced. 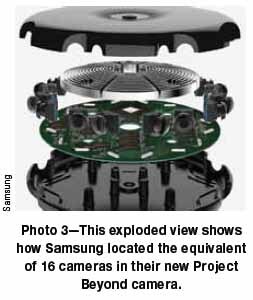 The software on these cameras seamlessly stitch all of the video that each lens captures together to create a new type of viewing experience. When you view these videos on an iPad, the tablet becomes a movable window. When you move the iPad up, down, left, or right, your view of the video seamlessly changes to match your orientation of the tablet. You can actually even turn the tablet to see what is behind you. 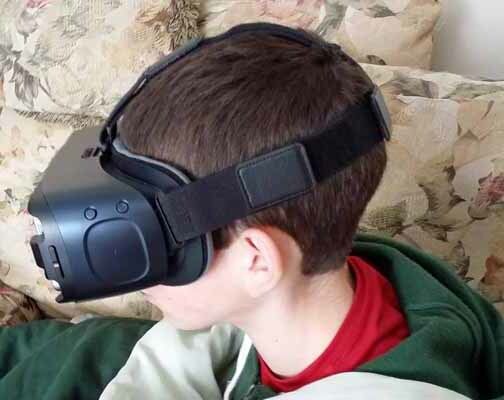 With a VR headset you can go from 2D to 3D viewing. Companies that build products that can communicate through the Internet are finding ways of giving digital devices the power to control digital and non-digital technologies. 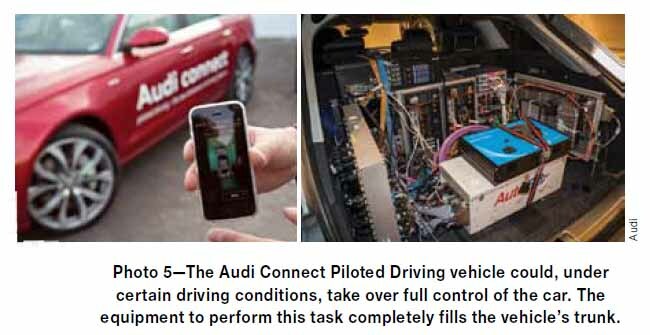 The person in control can be local or thousands of miles away using their smartphones, tablets, and/or computers. 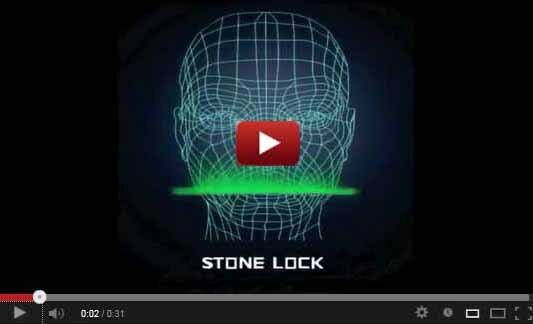 These tasks can be as simple as locking a tool or as complex as performing robotic surgery. 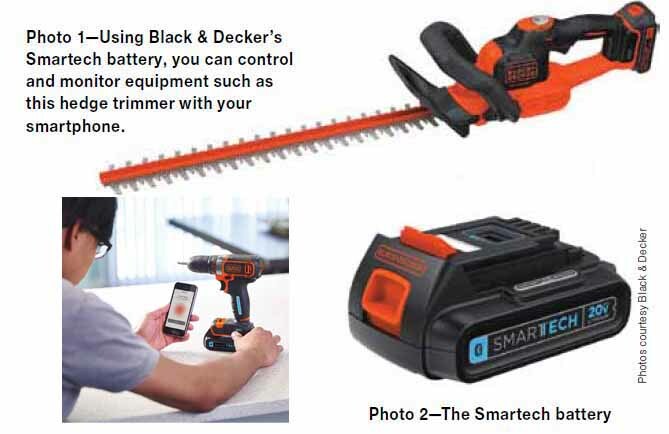 Black & Decker's smartphone app controls their new Smartech™ batteries and this lets you control their line of MAX®20 volt products with your smartphone. After you download the Black & Decker app from the Google or Apple online store you can use your smartphone to lock, monitor, or when you are within Bluetooth range locate the tool that the battery powers. 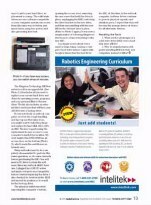 You are however, welcome to print material from this website for use in your classroom. Click to read over 200 other stories on new & emerging technologies. 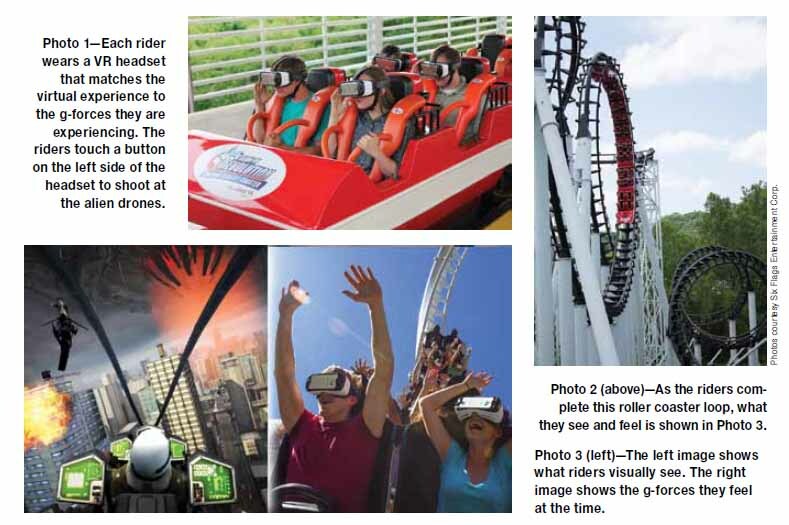 At a number of Six Flags amusement parks, new roller coaster experiences combine the normal physical G-forces of the ride in perfect synchronization with a virtual reality (VR) experience. The VR part of these rides are powered by Oculus and viewed during the ride on a Samsung VR headset. See photos. Here the roller coaster provides the g-forces to your body at the same time a Gear VR headset provides a synchronized VR experience to your brain. To read the full story just click this link. This review describes the features of the Samsung Gear SM-R323 VR headset and the virtual world that it lets you explore. It is almost identical to the VR headset that provides the synchronized virtual world experience at six flags. Will it provide you with the virtual world that you want to explore at home? To find out read the review. 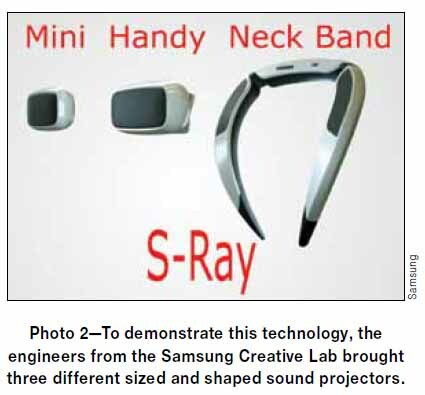 Samsung’s S-Wave focuses sound waves into a directional wave that can be projected as if the sound was a focused narrow beam of light. The light beam is a tool to help you understand how the sound is focused into a directional beam. Their directional sound beam, which is totally invisible, can only be heard if you are located in a physical sweet spot aligned with the beam of sound. 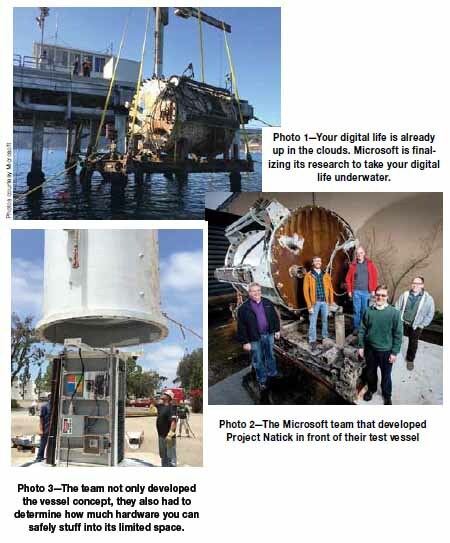 Microsoft's is taking data storage out of the clouds and bringing it underwater! Today most of us have our digital life (work done on computers and smartphones) stored or backed-up in the clouds. These clouds are warehouse size computer datacenters that are usually located in low rent areas with access to cheaper electricity and a very fast connection to the Internet. Indirectly they provide service to you since your digital life ends up on their servers from Microsoft, Google, or Apple when you backup your computer and smartphone. Just in case you feel none of your data is in the cloud, because you backup everything locally, all financial institutions and the US government all use off-site secure cloud storage. For the full story just click the link for a pdf of the magazine column. The judges of the World Changing Ideas Awards committee selected Project Natick as a 2017 finalist for their innovative approach to cloud storage.